Following the theft of critical lock operating equipment, lock number 50 on the Rochdale Canal will be closed for the rest of today. A response team from British Waterways are attending the site to carry out repairs and the lock is expected to be re opened by this evening. 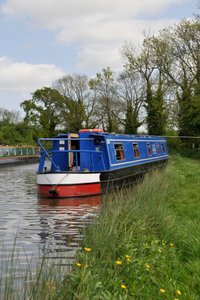 The beautiful canals of England and Wales wind their way through a variety of interesting and distinctive locations offering you the chance to stop off and investigate further at a mooring of your choice or to simply continue cruising onto the next destination. the fastest way to slow down!